The R-2 Short-range ballistic missile (NATO reporting name SS-2 Sibling, GRAU index 8Zh38) was developed based on the R-1 design. This was an improved version of the German V-2 rocket manufactured by the Soviet Union. The warhead separated from the rocket prior to atmospheric reentry, eliminating the hull strength problem, one of the V-2/R-1's biggest weaknesses. The propellant tank became the main load-bearing structure for the rocket, in contrast to the R-1's load-bearing hull. This reduced the overall weight of the spaceframe. The control module was moved from above the propellant tank to below the LOx tank. This made pre-launch preparations easier. As the control module was now placed directly over the engine, vibrations were reduced by using steel instead of aluminium for the tailcone. Radio command guidance was introduced to improve accuracy, giving the R-2 accuracy comparable to the R-1, in spite of its doubled range. The first test flight of the R-2 took place in September 1949, and it was accepted for service in November 1951, actually entering service in large numbers around 1953. A grand total of 1,545 R-1 and R-2 missiles were produced. 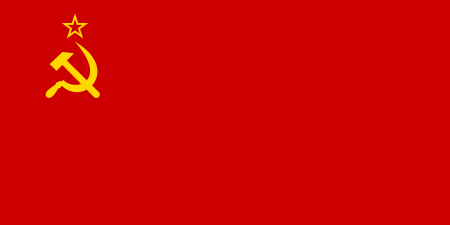 The R-2 missile was the last Soviet missile based on German designs. 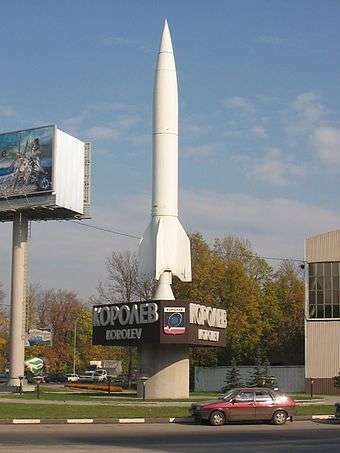 While some German influences would clearly remain, Soviet missiles after the R-2 would be based on original designs by the OKB-1 group. The R-2A geophysical rocket was developed for vertical sounding flights. It carried dogs, monkeys, hamsters, and various high-altitude physics experiments in its nose cone. Two pods performed atmospheric analysis and were ejected from the missile's side to avoid contamination by engine exhaust. Wikimedia Commons has media related to R-2.